This month we launched a new farming topic page on GOV.UK. It brings together all farming content, hopefully in a way that makes it much easier for people to find what they’re looking for. It also allows government to point farmers to information they might need to know but are unlikely to be searching for, such as the launch of a new scheme or grant. The page is in beta. We want your feedback so that we can continue to shape the way we present this content based on what works best for users. This has been a collaboration across many organisations within government. Far too often in the past, if a farmer wanted to know something, apply for a grant, or report something to the government, they’d first need to know which part of government dealt with that aspect. They’d also probably need to know what the government jargon was for it so they could find the content or service. Defra, Government Digital Service (GDS), the Animal and Plant Health Authority (APHA), the Rural Payments Agency (RPA) and Natural England have all been working together to make sure the focus is on farmers and not on individual organisational processes. 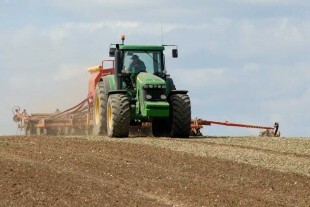 The farming topic page is the first stage in a much wider programme of improvements. There’s also a project underway to look at how we can simplify the number and complexity of transactions farmers have to undertake. By focusing on user needs, we should be able to reduce the burden on users drastically. A new helpline number also gives farmers a single number to call when they need more individual advice tailored to their specific needs. This work fits into a much larger GDS project to improve the way users can browse through content on GOV.UK. Through regular rounds of user research and testing, information architects at GDS are able to understand the mental model users bring to the site, so they can match that as closely as possible in the way it’s organised. At Defra, we’ve used analytics data and insights gained from user research to apply that principle to farming content in a way that plugs into what GDS are doing with their needs-based topic/subtopic site structure. Now the page is live, we’ll watch how users interact with it and make changes accordingly. We’ll also be conducting regular user testing of our own to get a deeper understanding of users’ experience. This will allow us to keep improving the way we present content based on evidence. Take a look at the farming topic page. You can let us know what you think by leaving a comment below or use the feedback form that's linked to from the page.